"Brains, not brawn. The success of countries, companies and people in the next century will depend on what they know and how clever they are at using this knowledge. Dale Neef has given us the best outline yet of the forces behind this extraordinary change in the world economy, the threats and opportunities we all face, and the prizes that await the winners." 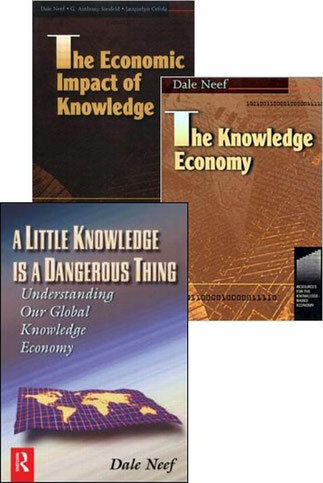 "Dale Neef has produced a singular achievement: a book which lucidly explains the powerful driving role being played by knowledge in the emerging global economy. He provides a penetrating, all-too-rare trans-national perspective which highlights in a highly readable manner the historical, social and technological context within which this revolution is taking place. In doing so, he has stripped away the hype and jargon with which many knowledge management "experts" have clouded this structural change in the global economy. Mr. Neef offers a fascinating array of facts to support his explanations and goes on to discuss the implications of these developments for managers, for companies and for national governments. This book is a must-read for anyone actively engaged in global business today." "A Little Knowledge Is a Dangerous Thing provides a very comprehensive view of the impact that the knowledge revolution on our 21st Century society. The economic dislocations that Dale Neef describes are already taking place, creating the prospect that large segments of our population may not have the skills for sustainable employment in the future. The implications of these events on the social and political fabric of our country give one great pause for reflection and concern." "Once again, Dale Neef combines just the right amounts of theory, academia and practical business experience to write a truly insightful book. In his consulting work, Mr. Neef's broad business, cultural and educational background has allowed him to analyze problems from a rich variety of perspectives. In this book, he artfully applies this skill to Knowledge Management." -James R. Breakey, Senior Vice President, Chief Information Officer, Green Tree Financial Corporation.